If you’ve been lied to, betrayed, cheated on, abused, manipulated, abandoned, assaulted, used—if you’ve ever felt worthless or helpless or powerless to make a change—if it feels like this “always” happens to you, like your life is a story on repeat of being undervalued and under-appreciated and under-estimated—this book is for you. That broken heart you think has crippled you and held you back and is thevery reason you will never get any of the things you have always wanted… that very broken heart is your greatest asset. It is your leverage to become all you were meant to be in this world. There is nothing in the universe like the strength of a broken heart. Get ready to leverage yours. A SIMPLE PROCESS ANYONE CAN USE TO GET UNSTUCK. 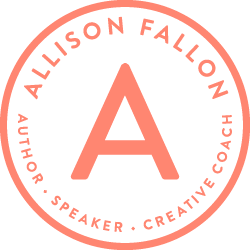 Join Allison to gain confidence, find your voice and get unstuck. If you wish you had deeper and more authentic friendships, a better relationship with your parents or children, a happier relationship with your significant other-or a significant other, period-this event is for you. This day will leverage the power of the three most effective tools to create change in your life: writing exercises, body movement and affirmations. Do you love Indestructible and want to help me get the word out? I can’t do it without your help. Join the launch team to be part of the inside circle who is helping me spread the Indestructible Love—literally. Interested in meeting with me personally to talk more about the book and how to leverage your broken heart to become a force of love and change in the world? I’m hosting an online book club, the next best thing to gathering in my living room. We’ll meet weekly for six weeks to discuss topics from the book, address questions about how to be love and receive more love, and to answer any questions you have (yes, any) about the personal story behind Indestructible. This opportunity won’t come around again, so join us now.